If you buy a book directly from us, Roberto Giobbi will be pleased to sign it to your name directly into the book (you have to mention this in the order form, please). 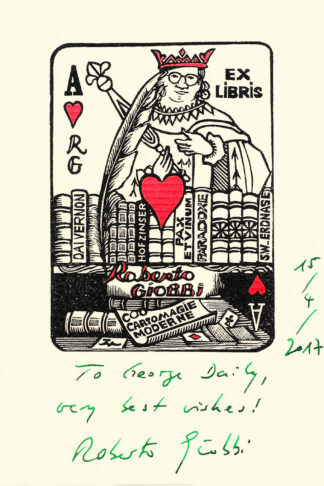 So you do not need this Ex Libris. However, if you already own some of Roberto’s books, and would like to have them signed to your name, then you can order one or more Ex Libris (Latin for: “From the library of…”) to stick into the books (mention this in the “comment” field of the ordering form). Please only for books, as it is too big to fit on DVDs! 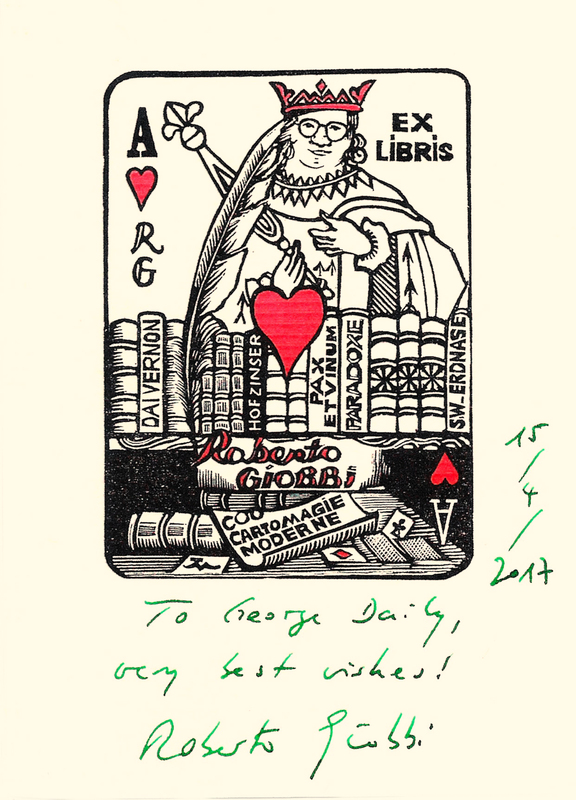 The original Ex Libris is a two-color woodcut created by famous engraver Jocelyn Mercier of France (1926 – 2006), who also did the Ex Libris for Prince Charles, among several other famous people. We reproduced it on elegant ivory-colored paper, with extra space underneath to be signed to your name. The Ex Libris are free, but if you order only the Ex Lbris, you’ll simply be charged the shipping, which will take care of the printing costs and the postage (priority international letter).